Whether you are selling your home or just looking to upgrade, adding crown molding is a great way to add elegance and style and bring character to any room. Depending on the type and style, it can be a relatively inexpensive way to add that extra something to your home to make it seemed more finished and appealing. There are many different types of crown molding to choose from. Some of the most popular styles are the following: plaster, solid wood, MDF, polyurethane, PVC, flex and polystyrene. Crown molding has made a comeback in the past few years. Many Rhode Island and Massachusetts homeowners are adding moldings to most of the rooms that they are renovating. If you have ever walked into a historic home, what is the first thing that catches your eye? Probably the beautiful craftsmanship of the crown molding. Although you may not want to be too elaborate with it, you can pick corners, edges, scallops, and so much more, literally hundreds of styles are available today to meet your tastes. Also, you shouldn’t just think of using plain white molding. Keep an open mind as molding can be stained or painted any color that matches your home style. Many new, and some older, homes are lacking in character and detail. Crown molding not only adds to the detail but you can put your own personal stamp on your house. Now, remember that you don’t want to just throw up any kind of molding and hope that it will improve the look and value of your home. Crown molding should be carefully considered with the architectural style of your home and the room(s) it will be installed in. If you have a craftsman style, investigate the historical views of comparable houses. Similar, with ultra-modern homes, check out what works for that style. Remember that if you are adding crown molding to upgrade your home, you may consider upgrading the room itself as well to achieve an overall pleasing cohesive appearance. If the rest of the room is in disarray, the molding may be overlooked. Crown molding should look like it belongs in the home, not an afterthought that was added later. You don’t want to go overboard and defeat the purpose. If you are looking to sell your home, you need to check out the competing homes in your area. Putting high-end items such as expensive crown molding in a neighborhood that is mid-range will not increase the value as much, but certainly will not harm your home’s appeal. Make sure you match moldings to the similar surrounding homes. But in that same thought, don’t pick moldings that are below the average for your neighborhood because it will look like you are using lower end building materials and may turn off people. The most important thing is to research before purchasing your crown molding. Once you have purchased all of your materials, it’s time to get the Rhode Island area experts to come in and finish the job. The cost of the molding itself is usually the greatest expense. Sold by the linear foot, crown molding is priced based on the style, wood and materials. Adding layers or exotic woods will increase the costs, as will corners and overlays. You should also factor in the labor costs to your budget well if you need to hire a contractor to get the job finished properly and quickly. Layering, geometry, and miter cuts are all part of the installation process that the right contractor will take care of for you. 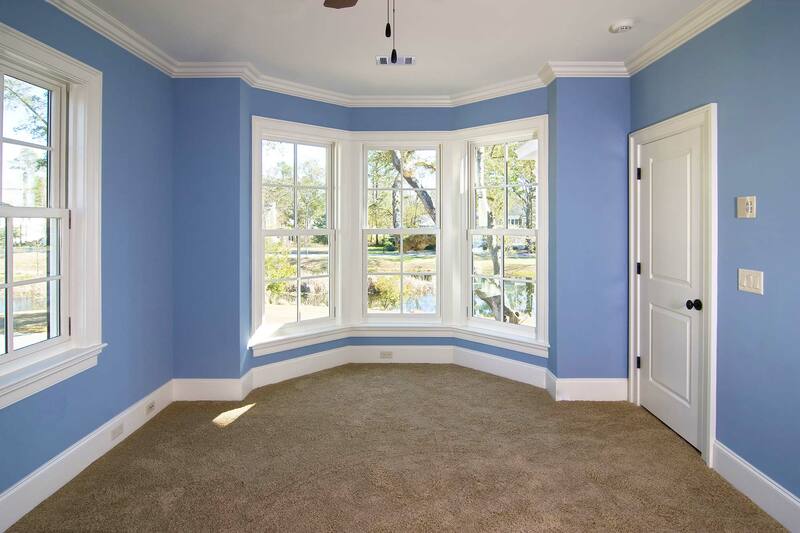 If you need an estimate on your next crown molding project, contact us today!